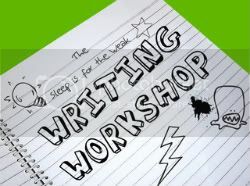 This post was prompted by the Writing Workshop on the Sleep Is For The Weak blog. One day parents will really be able to balance working with spending time with their children. One day there will be a part time job for anyone who wants one. Jobs which make full use of mums’ (lets face it it’s usually the mum) skills, expertise and training. Jobs with an equal status to full time jobs and that pay the same rate per hour. One day schools will teach kids how to be their own bosses so they will know there is more to working life than the employment career ladder. Lets give kids more flexible work options and prove that running your own business isn’t just for hard boiled macho blokes in suits. One day companies will make full use of not-so-new-anymore technologies so that more of use can work remotely. Then we’ll be able to work more flexibly and our work will have less impact on the environment (less travel, less fuel). One day childcare won’t be so outrageously expensive that a parent with two or more pre-schoolers can’t afford to work. One day the media will stop flogging the tired ‘old working mum vs stay at home mum’ debate. It isn’t a straightforward choice between one and the other, many of us juggle both options and we change the way we work (or don’t work) as our children get older. We don’t sit around arguing about which is best – we just get on with what works for our family. And we support each other in our choices. One day women will refuse to compromise either their career or their family time and will start their own businesses so they can do both. Hang on, that’s already happening! First decision : High street practice or sole practitioner? The main benefits of a sole practitioner are lower fees and a more personal service. They are often more flexible, and as they run their own businesses are much more likely to understand the pressures you are facing. My clients chose me because they like having a regular point of contact and proactive tax planning advice. Talk to your business contacts and attend networking events. Word of mouth is often the best way to find a great accountant. Find out who your business contacts use, their experiences and attend networking groups which invariably will have at least one accountant in attendance who you can get to know informally before deciding on appointment. Check out Twitter. It’s another way of getting to know an accountant informally. See if they offer tax advice that is relevant for you as it’s a good sign they understand your business. Follow some lists such as http://twitter.com/efficiencycoach/great-accountants and http://twitter.com/BookMarkLee/uk-tax-and-accountants to get to know some great accountants, including me http://twitter.com/amyaccountant . You absolutely WILL save tax. A good accountant will assess its clients’ needs, identifying areas where tax can be legitimately saved and offer tax planning advice for the future. Areas where I have helped my clients save tax is by advising on the best VAT scheme, identifying missing expenses, such as costs of working from home, broadband, insurances, carrying forward Class 4 NIC losses and advising on eligibility for child tax credits. Avoid fines. Getting your tax return in on time is essential if you are to avoid heavy fines, and/or interest. A great accountant will know all the deadlines applicable to your business and make sure you work together to meet those deadlines. Prove you are taking reasonable care. HMRC have changed their penalty regime from 2009 which means that you must demonstrate a commitment to correctly declaring your tax liabilities, and taking the best possible care over your books and records. What better way to prove your commitment than taking on a suitably qualified accountant. It says to the taxman, look I know this is my weak area so I am taking responsibility for my tax affairs by appointing this expert to help me. Ask if your accountant will give you regular updates or a newsletter. I provide my clients with personalised updates to their particular industry or background, to make sure they are aware of any changes, for example compulsory online VAT filing, etc, so they can plan ahead and take on additional accountancy services if required. If you have issues over affording an accountant, look for an accountant who offers special rates for start-ups. I have very reasonable packages for start-ups as I recognise how finances can be pushed to the limits in the first year. A good accountant will advise you on how to keep your books and records in order, to obtain the lowest fees possible. Another reason why it is important to have an accountant is if you move house. If you are self-employed you won’t have any payslips to hand over as proof of your income when getting a mortgage, so it is essential to have an accountant who can provide you with a reference, let the bank know your past accounting and tax history and future expectations of growth. If you get it wrong and choose an accountant who is not right for your business needs, don’t worry. It is very easy to change. Find a new accountant and they will write a “professional enquiry” letter to your old accountant asking if there is any reason why they shouldn’t work with you. They will also draft a letter for you to sign which allows the old accountant to pass over all old tax calculations and accounts to the new accountant. I'm proud to introduce my latest guest blogger, Mums The Boss, otherwise known as Sam Pearce and Helen Woodham. Mums The Boss is THE Bedfordshire networking group for Mums in business and they recently celebrated their first birthday. Here are are their top ten tried-and-tested free (or nearly free) publicity tips. In our first year in business we have spent the princely sum of £30 + VAT on promotional activity, paying for an insert service which interestingly had a zero return on investment! However we have managed to appear in the local press 3 times, the national press once, and have been interviewed on our local radio station. We have had a double page spread in a local parenting magazine distributed to over 10,000 mums through the school book bags, been featured on numerous websites and been promoted by several business agencies. We have also secured free venue use, free business advice, free business books and had over 20 prizes donated to a recent raffle. And we’ve done all this without ever having to resort to bribery or blackmail. So, how have we done it? We are proud to unveil the Mum’s The Boss Guide to free (or very cheap) publicity! Be Friendly – if you are approachable and friendly when you meet people, chances are people will remember you and be more willing to help you out in the future. A warm smile and taking an interest in people costs nothing at all. Barter – if you can’t afford to pay the going rate for a service, barter some of your product or a service of your own in return. Think Outside The Box – publicity doesn’t have to be paying for advertsing space. Think creatively about what is newsworthy about your business – or make something newsworthy happen – and submit it as editorial to the press. And think about all your contacts, and whether they could promote you to their client base, spreading the word through word of mouth. Know your audience – if you know exactly who your audience is it will be much easier to reach them by targetting your promotion accordingly. That way, if you do end up having to pay for advertising, you will save a fortune by reaching the right people first time. Use the Internet – take full advantage of the many sites and forums that you can list your business or event on for free. All it will cost you is your time. Make good use of all the social networking sites you belong to, such as Twitter or Facebook – they are perfect for spreading a message ‘virally’ as well as a fantastic way to make invaluable business connections and pick up free business advice. Blog! – if you haven’t already done so, start a blog. If you can attract a good level of readership your blog can become a fantastic medium for you to barter with, offering to promote businesses or review products in return for a favour. Be Different – the press likes good news stories or things that are quirky or unusual. If there is something unusual about you or your business then capitalise on this. If not, can you engineer a story with added interest, by linking your business to an event, charity or something topical? Add Value – if you are asking someone to do you a good turn you must be able to show them what’s in it for them. This may be something tangible like a complimentary product, or it could be as simple as giving them access to your contact network or promoting them on your website or blog. Be Cheeky – if you don’t ask you don’t get, and sometimes if you just have the confidence/brass neck to ask for a freebie or a discount people are surprisingly happy to oblige. Pay People in Cake! – This one NEVER fails. When bartering for people’s time, expertise or use of a venue always offer to bring homemade cake. Works every time!! We are by no means PR Gurus and these tips are non industry-standard – they are just things that have worked for us and allowed us to enjoy a certain level of publicity for free! Do you have any creative ideas or tips for getting free publicity? We’d love to hear all about them (mainly so we can try them out ourselves)! Many of us start businesses because we can’t find home-based jobs that fit around out families. If this is you, then you’ll want to take a look at hiremyparents.com, which launches this week. After the launch you’ll have four days to claim your free membership, so keep an eye on hiremyparents.com this week. If you’ve trained, studied and worked for years to become an expert in your field then why, when kids come along, would you want to sell perfume online; or start cold-calling for an energy supplier. Why can’t you do what you do but from home? Hiremyparents was created to solve this problem. An association where members can browse for full time, part time, casual, job share, temp/contract, freelance and stay at home jobs, along with home based business and self employment opportunities posted by businesses from around the world. A job board that gives its members a chance to make money using the skills they attained prior to kids and fulfil the desire to stay at home. Here’s a tricky question for all new business owners – how much should you charge? If you pick a price that’s too high then you risk nobody buying, too low and you might not make a profit. Here are five mistakes to avoid when setting a price for your product or service. If you do this, you won’t take into account the value of your product or service to your customers, so you risk under-charging. Your product or service is worth what your customer is prepared to pay for it – find out what people are prepared to pay and use this to decide on your price. You may be offering a better quality product, better customer service or offering a niche product that is different from your competitors. If so, you might be able to charge more than the competition. Exceptions to this rule might be if you have a new way of delivering a service or manufacturing a product that means you can sell it at a cheaper price than the competition and still make a decent profit. Or if you’re selling a product that’s identical to ones that people can buy elsewhere, like books and CDs. There are several reasons for this. First, your hourly rate should be quite high because you’ll need to pay your own salary, tax and national insurance as you would if you were employed. Then you’ll need to factor in all the costs that you can’t directly charge for such as planning, preparation, expenses, training, insurance and accountants fees. This will mean your hourly rate will be double or treble what it would be if you were employed by someone else. Second, if you offer a package, you can throw in some bonuses that don’t cost you a great deal, but that offer great value to the customer, so making you look more attractive. This could be a CD of your own music if you’re a children’s party entertainer or an e-book if you’re a trainer. Third, customers are happier knowing what the total cost will be. If a virtual assistant charges £20 per hour for writing a series of press releases, the client still doesn’t know what this will cost until the task is done. Instead, the virtual assistant and client could agree in advance that the whole job will cost, say, £100. Some clients may insist that you charge by the hour, usually if you’re freelancing for another company. If not try charging for what you’ll actually deliver, rather than the time it will take you to do the work. 4. Don’t charge what feels like a reasonable price. This won’t take into account what it actually costs to provide that service or product. Work out all your costs so that you know the minimum you need to charge to break even. Then you’ll know you must charge more than this to make a profit. Use this minimum value as a guide, rather than basing your charges on it otherwise you’ll be making mistake number one (above). If you’re just starting out, it’s easy to charge too little then find it’s hard to raise your price later. It’s better to start with a price that’s slightly too high than one that’s too low. You can always offer a discount or special offer later if you find your price is a bit high. This is incredibly easy to do when you’re starting out. If you end up paying yourself less than minimum wage you’d be better off getting a job than you would running your own business. Sometimes the worst boss in the world is yourself! Be confident and charge what you’re worth. Have you made any mistakes when deciding what to charge?